With photovoltaic panels producing power you generate your own power and cut or even eliminate your monthly energy bill! Solar power is a fast-growing technology because it utilizes the sun, the greatest source of renewable energy! And here to help photovoltaic property owners in Pleasant Hill with the installation process is Solaron! Although there are many different companies of photovoltaic panels, Solaron is excited to be an Authorized Dealer for SunPower. Compared to other ordinary models, SunPower photovoltaic panels convert the greatest percentage of sunlight into power, up to 44% more per square foot than competitors. SunPower oversees the entire production process, producing the market’s finest quality, best-looking photovoltaic panels. 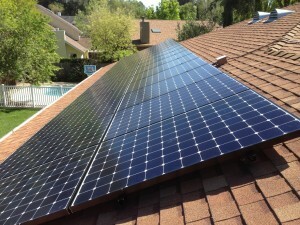 In addition, SunPower panels come with a 25-year performance warranty. A great product installed by a reliable company is a winning combination!